Ernest Zacharevich is a young street artist who currently lives in George Town, Penang in Malaysia. 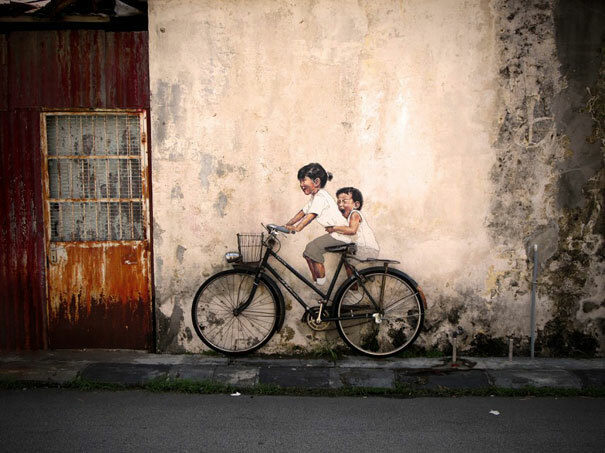 Among his beautiful murals, the ‘2 kids painted on the wall and their real bike’ is one of the coolest. And what’s more even fun is that a contest is organized to get the best picture with this piece of street art.